Seriously raising the bar in luxury beachside living, this transformed architectural home is a property of unparalleled quality and sophistication. 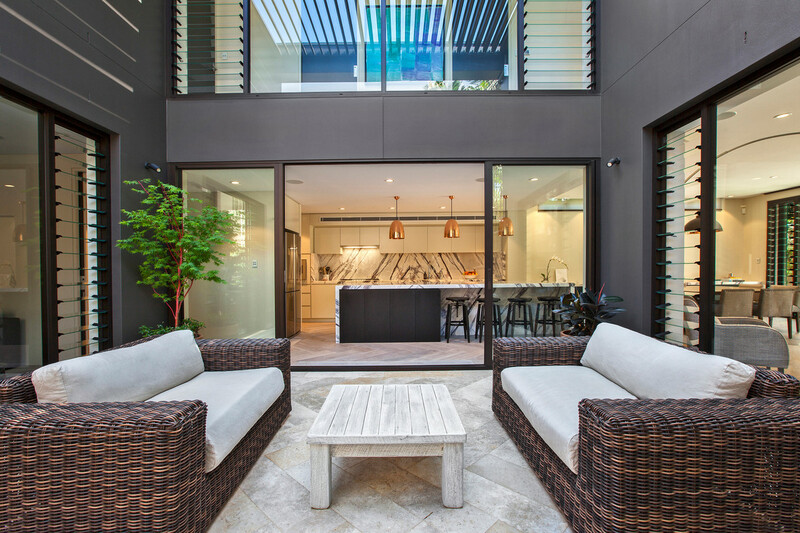 A 2015 completed renovation and extension designed by Corben Architects has resulted in a home of supreme liveability; where beautiful interiors over two decadent levels spill out to level due north facing alfresco spaces, private gardens and a mosaic tiled ionised pool. Created to deliver the best in easy care living, it provides a versatile floorplan in a quiet, dress-circle setting, a short 150 metre level walk to Balmoral Beach.